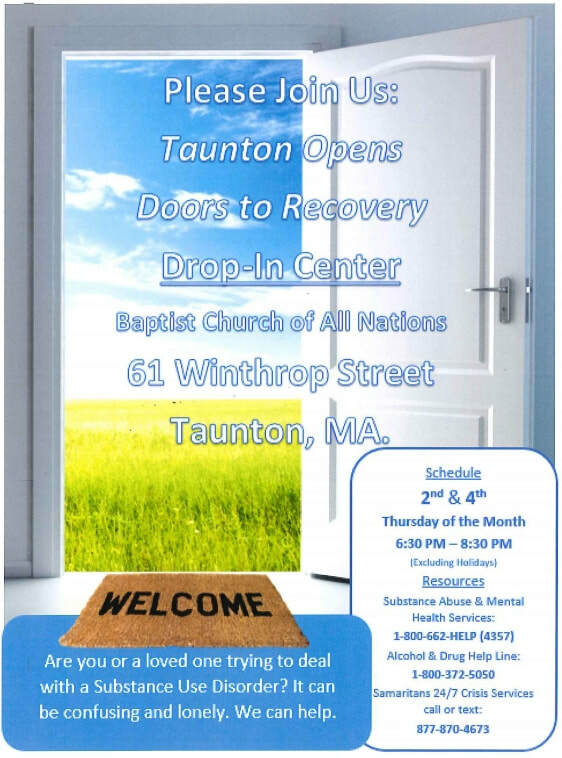 Information for anyone in the Taunton, MA area who may be dealing with addiction & recovery. On this page, it is my hope that I can share some useful information for those who may need assistance getting help for a loved one who suffers with addiction. There are resources and people who care that can help. You will also find support groups to help friends and family members of those who are addicted. This resource is open to the community. Are you or a loved one trying to deal with a substance abuse disorder? It can be confusing and lonely. The Drop-In Center is here to help. Come talk to someone who can help. ​Learn to Cope is a non-profit support network that offers education, resources, peer support and hope for parents and family members coping with a loved one addicted to opiates or other drugs. ​This group is for family & friend who are dealing with a loved ones addiction. Please share your thoughts, feelings and ideas. Hopefully together we can make a difference. My thoughts & prayers are with you in this struggle.